Shawn, Rex, and I have been working hard the past few weeks to get the soil beds prepared and the seed spread before season started last weekend in North Dakota for us. The plots have been done for a couple weeks now and we have been fortunate enought to get a little rain and sun the first week. The past few days we have gotten a ton of rain and after a few days of sun the plots should really take off! Heres how they are coming along so far after two weeks. 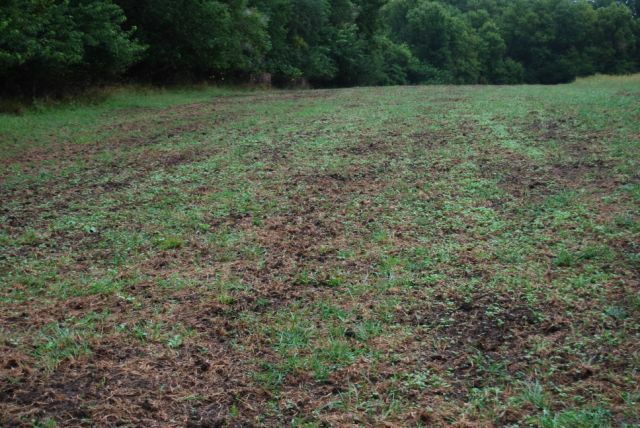 We planted mainly Biologic Maximum, but also planted some buck forage oats. Can’t wait to see how these turn out!